Dazed Digital: How did you get involved in this project? Man Repeller: A couple e-mail correspondences, actually. DD: Tell us about the inspiration behind the shoe? Man Repeller: I've wanted a navy suede bootie for a long time and just couldn't find the right one so when the opportunity presented itself I decided to go big. The burgundy cap toe and heel gave it a sort of timeless-Chanel vibe but I used the spikes to leave some signature quirk. They're man repeller shoes, after all. DD: Are those studs practical, have you tried walking in them? Man Repeller: Yeah, they're fine you don't even feel them when walking. They're also good self defense tools. DD: Are they suede? 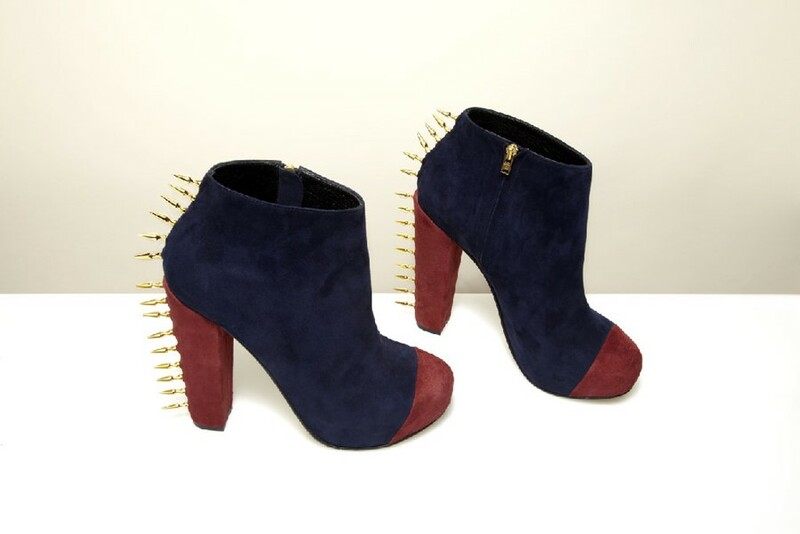 It seems like a nice contrast... luxe suede and punky studs... was that the idea? Man Repeller: Yes they are suede, and yes it was. Good eye! DD: Which one of the other shoes do you like, and why? Man Repeller: I loved Susie's shoes because I think the design spoke really well to her aesthetic; interesting, complex, poppy. DD: Tell us about your blog, what's a Man Repeller? Man Repeller: The blog is a fashion site about trends that women love and men hate. Its high fashion sprinkled over a healthy dose and hopefully some giggles. Man Repeller: Maybe a book, maybe.